According to the daily Al-Intibaha, the man in question helped Israel act against military targets in Sudan. 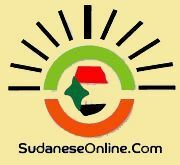 A Sudanese newspaper is reporting on Sunday that security forces arrested a citizen of the African country on suspicion of spying for Israel, Israel Radio reported. The report said that Sudanese authorities were monitoring Sudanese nationals who illegally migrated to Israel a decade ago and were recently repatriated to Sudan. According to the report, Sudan suspects Israeli authorities are training African infiltrators who entered Israel illegally so that they could serve as informants upon their return home. Israeli military officials have accused Sudan of serving as a transport hub for Iranian weapons destined for the Hamas-ruled Gaza Strip. Earlier this month, the Israel Navy intercepted a ship that Iran was using to smuggle dozens of long-range rockets to Gaza. Missile ships and navy commandos from the Flotilla 13 unit, backed by the air force, raided the Klos-C cargo ship, which was carrying Syrian- manufactured M-302 rockets. The rockets originated in Syria, according to Military Intelligence assessments. Iran reportedly flew the rockets from Syria to an Iranian airfield, trucked them to the seaport of Bander Abbas, and shipped them to Iraq, where they were hidden in cement sacks. The ship then set sail for Port Sudan, near the Sudanese-Eritrean border, on a journey that was expected to last some 10 days. Had the shipment not been intercepted, the rockets could have been unloaded at Port Sudan and taken overland, through Egypt into Sinai, and through smuggling tunnels into the Gaza Strip. Two years ago, Sudan accused Israel of carrying out an airstrike in the country, causing a huge explosion and fire at an arms factory in Khartoum that killed two people. Sudan, which analysts say is used as an arms-smuggling route to the Hamas-controlled Gaza Strip via neighboring Egypt, has blamed Israel for such strikes in the past, but Israel has either refused to comment.